Web designers are everywhere. You can see their profiles and portfolios all over the Web, all saying theyâ€™re the best in town and they can give you the website design you need. There is nothing new to this. However, this ploy has victimized lots of people because most of these designers know nothing about real web design. Designing a website may seem like a daunting task at first. With seemingly so much to do, it can be hard to figure out where to begin. With web design, as with a lot in life, it can be beneficial to create a checklist of everything you will need. That way, you can clearly see all that is required to design a website. When the Internet entered most peopleâ€™s homes in the mid to late 90s it was a revelation, everyone could access more information than they could ever dream of, and a million and one bedroom programmers thought they would get in on the action. As â€œweb designâ€ was in its infancy, nobody really know what was good and what was bad, they just went with the coolest features they could find from reading their HTML books. For big companies, the delicate task of designing a new car for the Russian president is still ahead. But dozens of professional and amateur designers have already rushed to compete in the “Auto for the President” contest, offering over 100 entries. The contest, organized by Russian web portal CarDesign.ru and sponsored by Marussia Motors, invited everyone aged 18 or more to try and devise a modern look for the presidential limousine and its cortege. A prize of 150,000 rubles ($5,000) for the best project, as well as decent rewards for two other winners, attracted more than 40 skilled professionals and design students, as well as some 80 amateur designers from Russia and worldwide. The deadline was set for the end of February, and the jury will select the winners on May 1. The best project is meant to provide the basis for a new series of presidential cars. Although it will be of Russian design, it’s still planned to be manufactured abroad. The authors chose the ZiL as the "only Russian brand with a recognizable image, experience in building high-end cars and a history rich enough to correspond to the task." To associate with a high-tech and reliable technology the project should use Sukhoi brand in its marketing campaign, the author suggests. Russia’s best car should take advantage of the experience in the development of advanced military technology accumulated over many decades. The author offers an “austere and comfortable” limousine under the brand Marussia. In his concept the author tried to embody the elements of post-WWII era Soviet car design into the modern presidential limousine. The main inspiration was the ZIS-110. This was based on the “most luxurious Russian car ever made,” the legendary GAZ-13 Chayka. The designer tried to preserve traditional elements in the modern form of the limo. 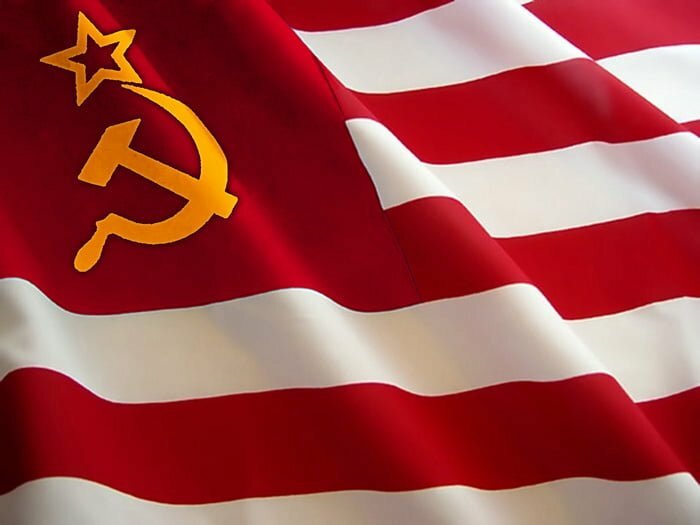 Parents and educators are outraged over an electronic curriculum system being used in Texas public schools after a recent classroom assignment called for students to design a flag for a new socialist/commuist nation. The CSCOPE curriculum is used in 875 school districts across Texas. At a recent Texas Education Committee meeting, Senators and witnesses questioned the effectiveness of the program used as a primary tool to educate millions of impressionable minds. One witness compared the system to “mind control,” and an algebra teacher wept as he described quitting because he felt he was “aiding and abetting a crime” by using CSCOPE in his classroom. A string of witnesses before the Senate Education Committee criticized the program for promoting liberal values they said are anti-Christian at best and openly socialist at worst. They also complained that it is hard for nonteachers to get a look at the program. “Discontent is rampant across the state,” said Peggy Venable, a frequent critic of public schools and the Texas director of Americans for Prosperity. Fundamental bedrock American principles protected under the US Constitution, such as the right to bear arms, are vilified by our government sponsored education system. Yet, promoting Communism, a system responsible for the democide of hundreds of millions of people over the last century (ironically, by way of the gun) is perfectly acceptable. Children most certainly need to be taught about the dangers of socialism and communism, but our education system needs to use some common sense when doing so. How many of the educators giving this assignment to their students mentioned the fact that the economics of Communism leads to strife and loss of liberty? That the laws within those systems are implemented through violence and much suffering? How many of them explained that the only way to prevent such systems from taking hold is to have an armed populace that can fight back against the tyranny? This is what we’re up against in America today. Sixty years ago we were holding Congressional hearings in an effort to identify Communists in this country. Today, we’re electing them to the highest of political offices. Any small business hoping to establish a lucrative online presence needs to find the right web host. But how does a small business know which host is best? And what essential features are required from a web host? Is Organic SEO Still Vital For Website Marketing? When it comes to marketing, new marketing strategies keep evolving to deliver results in short term that may not necessarily adhere to quality parameters. SEO marketing is no exception to that. But why to insist upon website marketing that comes out as a natural result of a siteâ€™s enhancement and other organic techniques applied to increase traffic? Guest Post by Laurence Flynn From Host Nexus | If you are trying to get word out for your site, a lot of times you are going to run into that age old issue of needing a big fat budget to be able to do it properly - or so you might think! Small Business Website Challenge – The Best Way To Generate Local Leads? SEO Marketers – Are you missing an Opportunity? How to Optimize your Google Places Business Page? Outsourcing Online — A Quick & Easy Way to Get Your Job Completed? Outsourcing is one of those things that you either love or hate. For many of us, outsourcing brings to mind lost jobs and dealing with English-challenged customer service representatives. For others, however, outsourcing brings to mind the ability to save time and money for their small business. Mention copyright and most people immediately think of free music downloads and music companies suing teens. The truth of the matter is copyright extends far beyond just music. In truth, it is an archaic law that causes a host of problems on the web. In fact, most sites have a critical copyright problem and donâ€™t even know it. MTurk vs Utest Crowdsourcing — Which is Best? If youâ€™ve been reading blogs, work in a large company, or are a small business owner, chances are you are at least somewhat familiar with the term â€˜crowdsourcingâ€™. If not, here are the basics. Crowdsourcing takes tasks which are typically done in-house and outsources them to an on-demand workforce. Is It Worth Making Your Blog Facebook-Friendly? When scientists discuss Facebook, they cite a network theory phenomenon called Metcalfe's Law: The strength of a network is proportional to all of its elements, squared. In that case, Facebook's 500 million users make it 62 billion times stronger than the thousand people who read your blog and your blogroll. Will the US Declare Open War on WikiLeaks? You've Been Duped. The Affordable Care Act Isn't Raising Your Premiums. Republicans Are.